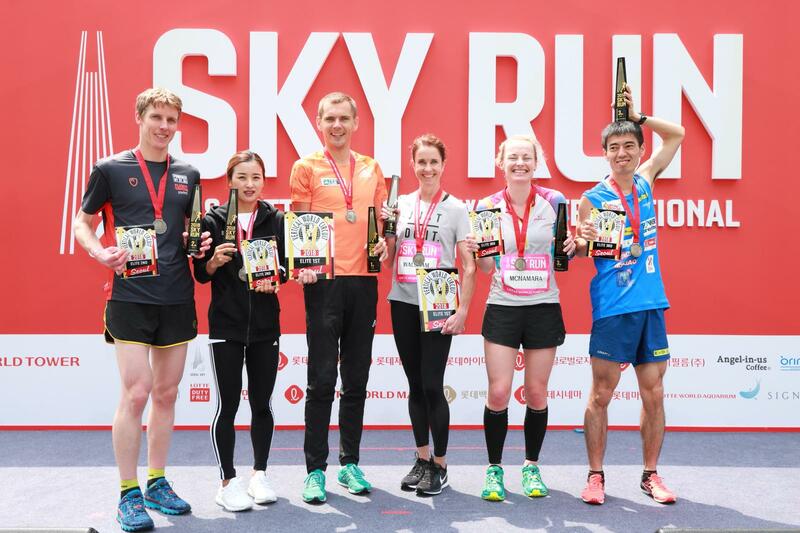 The conditions were perfect for the second edition of the Lotte World Tower International Sky Run on Sunday, May 13. 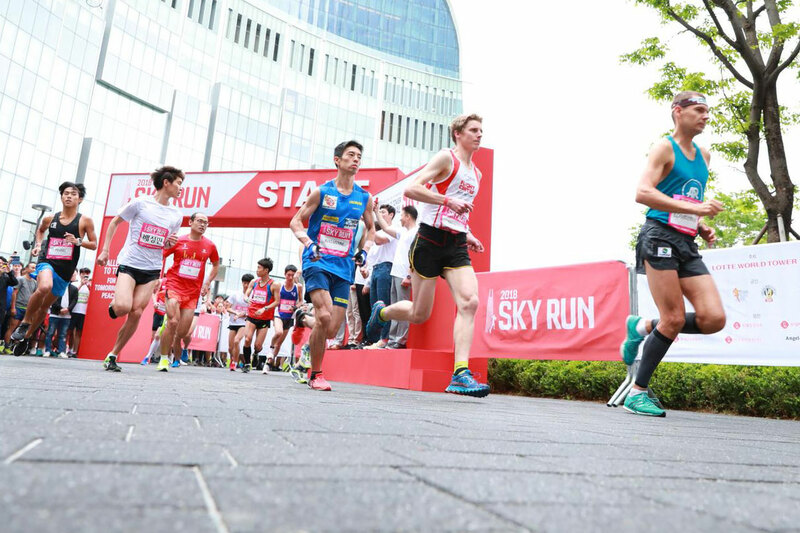 1,500 local and overseas participants took to the stairs to climb South Korea’s tallest building, LOTTE WORLD TOWER. 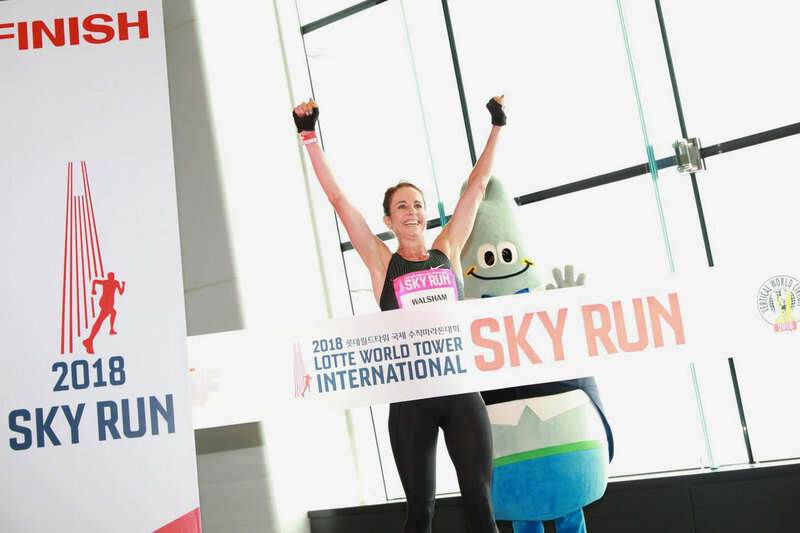 They faced the challenge of climbing up 500 metres to the building’s observation deck making it the highest race on the Vertical World Circuit. Poland’s Piotr Lobodzinski and Australia’s Suzy Walsham were the winners, each pocketing the US$2,500 first prize in the male and female elite races, respectively. Lobodzinski crossed the finish line in 15’53”. Second place in the men’s event went to Mark Bourne of Australia, who could not stay with Lobodzinski towards the final stages of the race finishing in 16’16”. Third place went to Ryoji Watanabe of Japan in 17’19”. “I’m really glad to come back to Seoul and win the race, after coming second last year. The race was very well organized and it’s great to be a part of the Vertical World Circuit. I hope to come back next year to defend my title,” said Lobodzinski. In the female elite race, Walsham once again finished comfortably in 18’45”, setting a course record. She was followed by local hero Ji Eun Kim from Korea in 19’49”. Alice McNamara from Australia came in third in 20’08”. Walsham looked relaxed from the start and started to open the gap from the early stages of the climb. The former Australia national middle distance champion then took a commanding lead from the middle stages and did not look back as she claimed the overall win. “I had a really strong run today. The experience from racing here last year helped. I’m just so happy with the win. What a great way to start the Vertical World Circuit,” said Walsham. 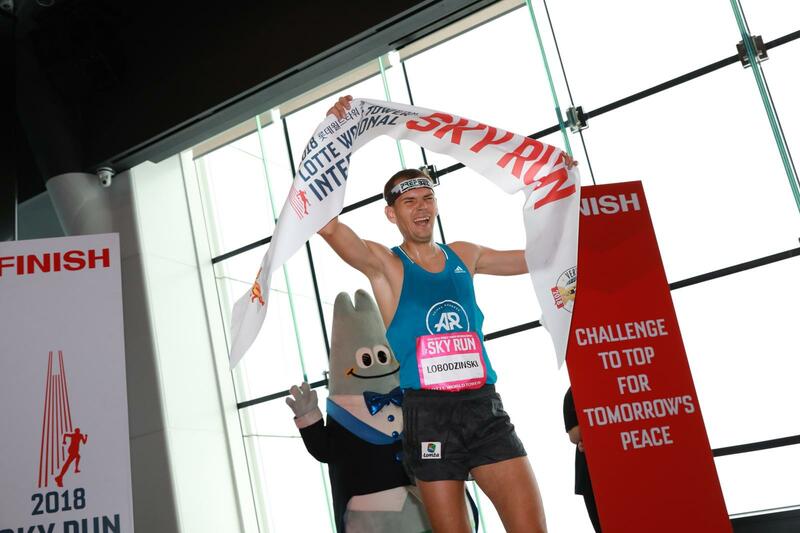 Governed by the International Skyrunning Federation, the event was selected as Official Race of the 2018 Vertical World Circuit, the world’s premier skyscraper racing circuit, uniting some of the world’s most iconic skyscraper races, including the One World Trade Center in New York City and the Race to Hong Kong ICC.